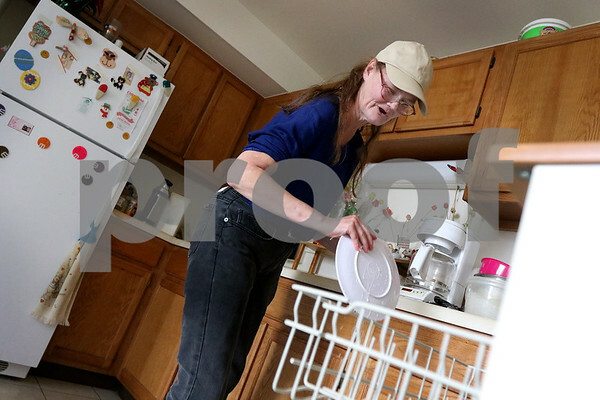 Theresa Owens loads dishes in her dishwasher in her DeKalb home on Tuesday, October 6, 2015. Owen receives food stamps and is still looking for work to help make ends meet. She wishes to complete her GED and move to Georgia to live with a childhood friend when she can manage to do so. Despite not having a car, she walks to most any place she needs to go.